Computer graphics can be seen in all kinds of fields such as movies, television, commercials, games, etc. The creation of 3DCGs is also turning into a hobby for many enthusiasts, pushing the demand for new, never before seen expressions. WaterColor3D is a non-photorealistic rendering engine that produces images that have the appearance of soft watercolor paintings similar to illustrations painted on a canvas using a brush. It is used as a 3ds Max plug-in and can also handle animation. Traditional image editing software process images using 2D filters, so many are unable to handle animation, or if they do, they tend to introduce noise-like artifacts in the images. "WaterColor3D" uses an original algorithm which solves these problems so that clear watercolor like animations can be created. WaterColor3D works seamlessly as a part of 3ds Max. The user chooses one of the available brush types and can then adjust a variety of parameter items such as brush size, size variation, initial angle, angle variation, coarseness, shadow and fade. Watercolor-like soft expressions and multicolored expressions such as those created by brush strokes can be achieved thanks to the flexibility of the parameters. 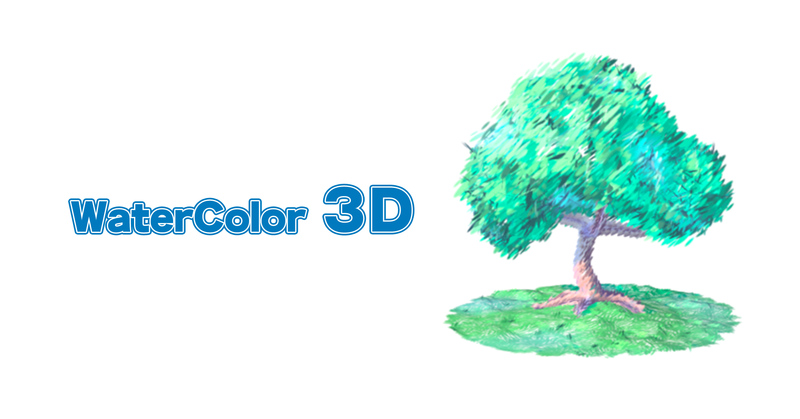 Send us your inquiries regarding WaterColor3D. Please use the inquiry form to send us your messages. QuickTime is required to see the animation samples. Copyright(C)2001-2002 P SOFTHOUSE Co.,Ltd.All rights reserved.